In Memes! Black Twitter’s Reaction To #GirlsWithVineyards Is Hilarious! 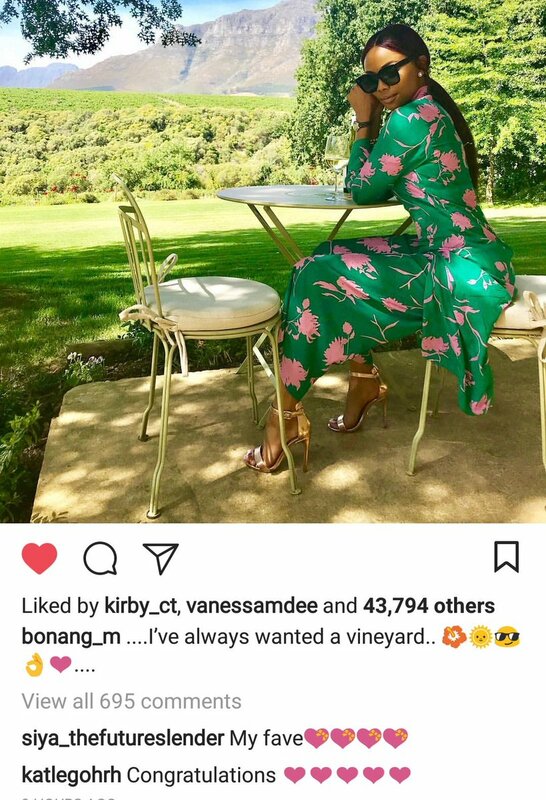 Bonang Matheba made headlines Friday morning when social media concluded from her posts that she had purchased a vineyard tagging the posts with #girlswithvineyards. Well, it turns out queen B did not buy a vineyard, she was just simply having lunch there. “Bonang hasn’t purchased Rust en Vrede. She was having lunch and working in the winelands yesterday. She was there for an upcoming venture that we will reveal in time,” Bonang’s manager Davin said. That didn’t stop black twitter from running with the trend sharing photos of their dream purchases using Bonang’s hashtag. Check out some of the funniest ones below.